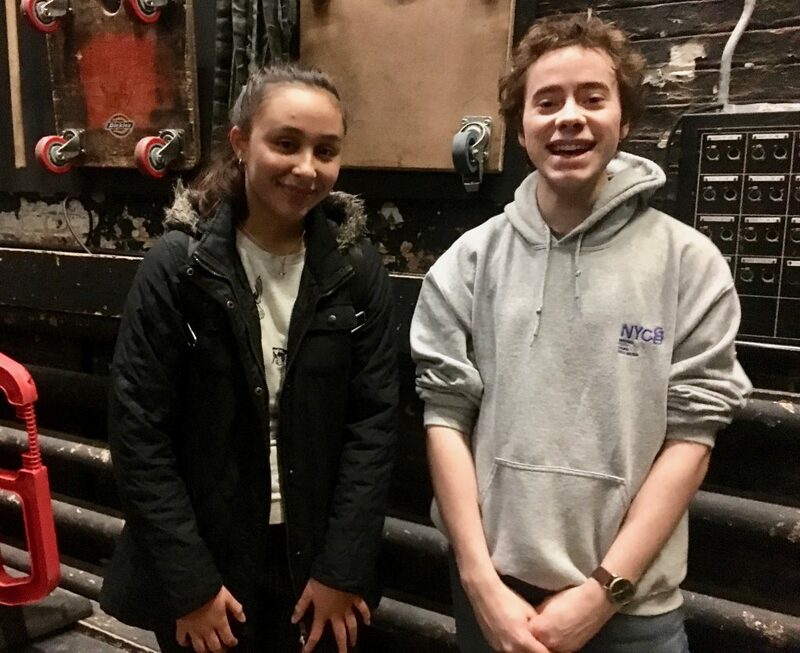 Meet Artiana and Gabriel, two of the young actors involved in devising and performing Act Three’s original piece for the company’s Troubled Waters season. Gabriel: Essentially, we’re collating ideas weekly. Everyone suggests what they think the themes could be and what sort of character development we’d like to see. Each week we add things or take things away. It’s constantly changing. Q: How does it feel as a performer to be involved in devising the play? Gabriel: For me, this is quite new: I’ve never devised before, but it’s a cool way of learning. Sometimes it’s quite difficult because I’m used to being directed. But it’s a fun way of going about it and I’m certainly really enjoying it. Artiana: I’ve devised before at the Young Actors Company, but only as part of our warm-ups. In this process, it’s fun because all the characterisation is in our power – we get to choose how we act out each character. It’s challenging, though. If the audience doesn’t like it – it’s your idea. It’s more responsibility and it’s quite risky, but it gives you more maturity because you’ve got the power to do everything. Q. Can you tell us more about the theme of your show? Gabriel: Without giving too much away, there’s an overarching theme, but then we’ve got different groups of characters who explore issues within that; one group is homeless, for example. Artiana: We see how the homeless people are treated and what life looks like from their perspective. You see things the homeless people have no experience of, that other people take for granted. Other themes we’re exploring include lack of trust, jealousy and politics. Gabriel: Politics presented in a different way than most people are used to. Artiana: It’s in the future, so it’s something that hasn’t been experienced yet and we think it will surprise the audience. Q. Are the themes you’re exploring issues that affect young people today? Gabriel: My take is that it’s stuff that’s becoming more important. There are so many divisive things going on; the more young people are aware of that, the better. Artiana: The more we explore these themes, the more we realise how often these issues are occuring in the world we live in today. You start to think, within your real life, ‘oh, this is actually happening’ – it’s not just our imagination, or what we’ve devised. It opens your eyes more to the world. Gabriel: I feel like I can speak for most people in the group when I say this experience is opening more thought about these issues. As we get further into the devising process we’ll do more specific research, but so far, just collecting our ideas is really making us think. Artiana: And you don’t just ‘ask the internet’ – it’s real life research. We’re asking our parents what their take is on these issues. They know what the world was like before we were born, so we can ask them about the changes they’ve seen. The process of devising the play is starting a really important conversation with everyone around us. Act Three will debut their original show, scripted by writer/director, Andrew McPherson, at 7.45pm on Friday 29 Mar 2019 at New Wimbledon Theatre’s Time and Leisure Studio with two further performances on Saturday 30 March 2019 at 2.45pm and 7.45pm. Act Three (school years 11+) are devising and rehearsing their Troubled Waters show alongside exam revision and the other pressures of teenage life. 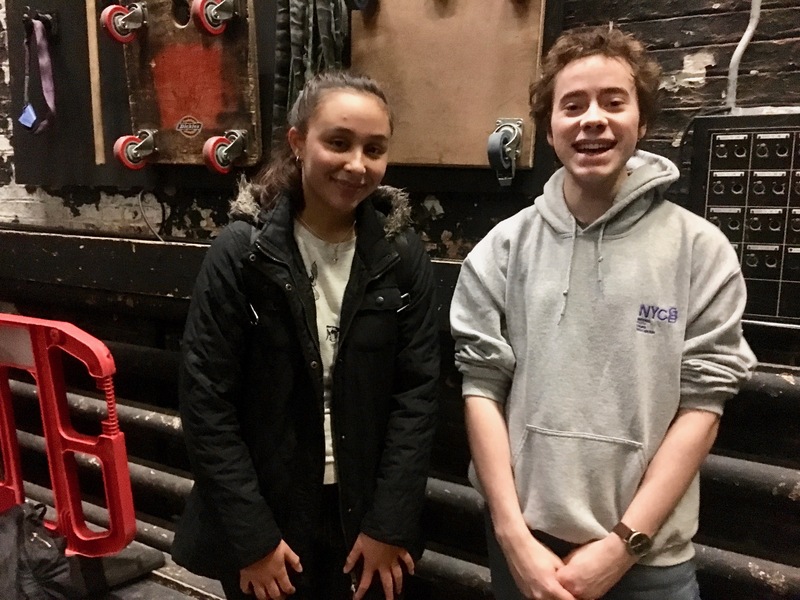 As well as providing an outlet for their creative energy, WCTT’s Young Actors Company also helps prepare them for the challenges they will face as young adults, whether it’s coping with university, finding a job or navigating the complex world of adult relationships. 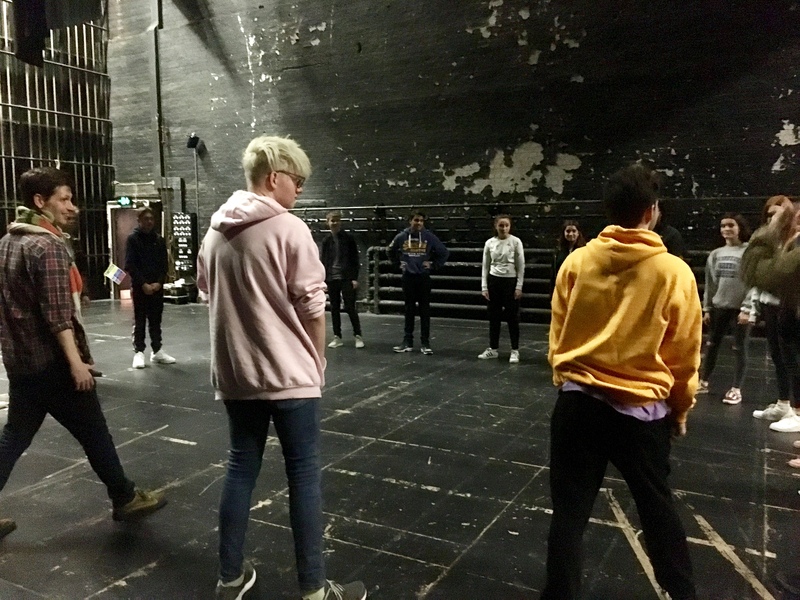 By supporting the work of WCTT, you’re helping our Young Actors to prepare for an uncertain future, and to express their world views through theatre.